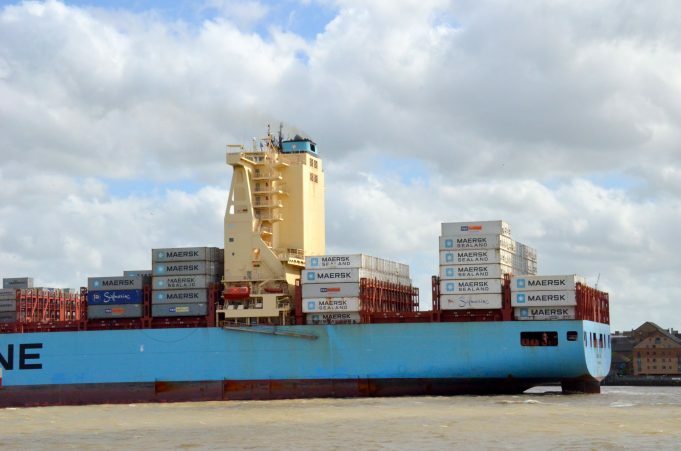 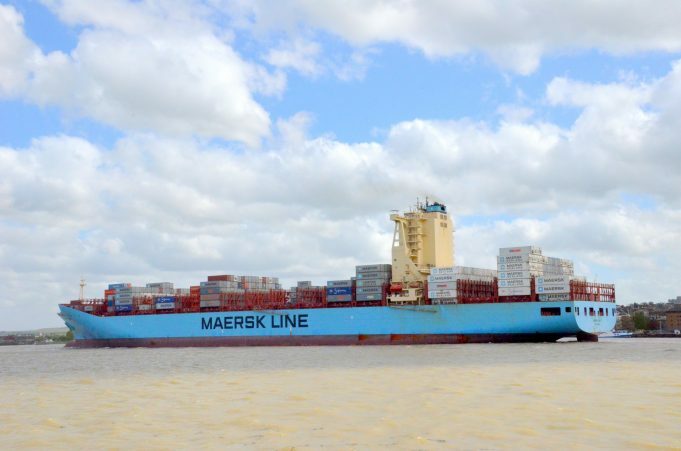 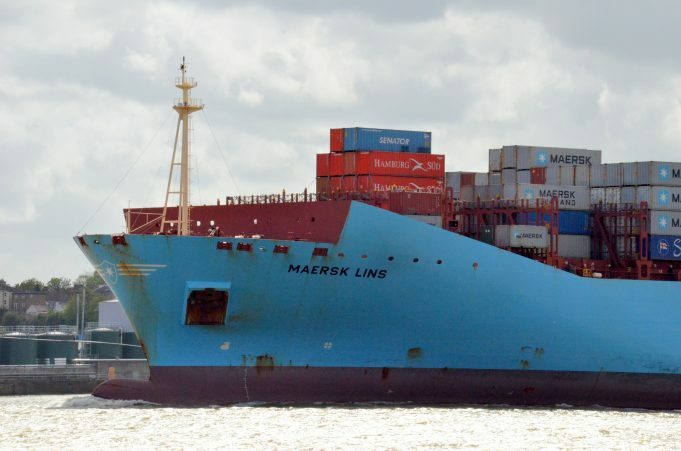 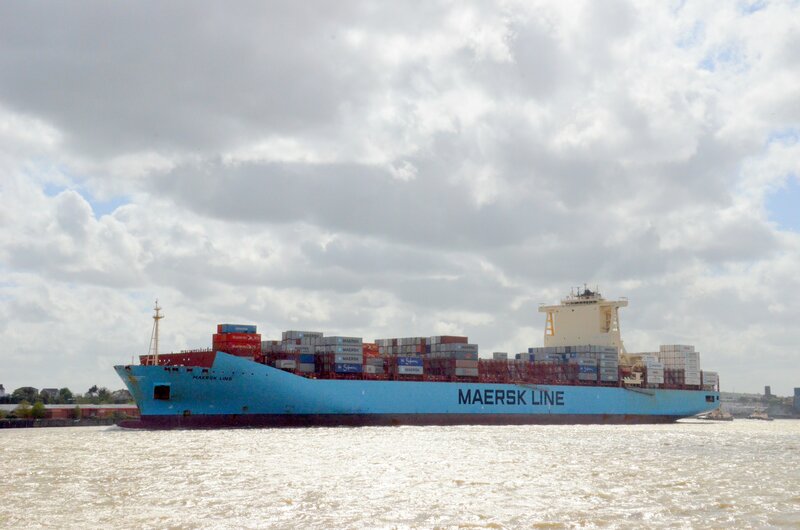 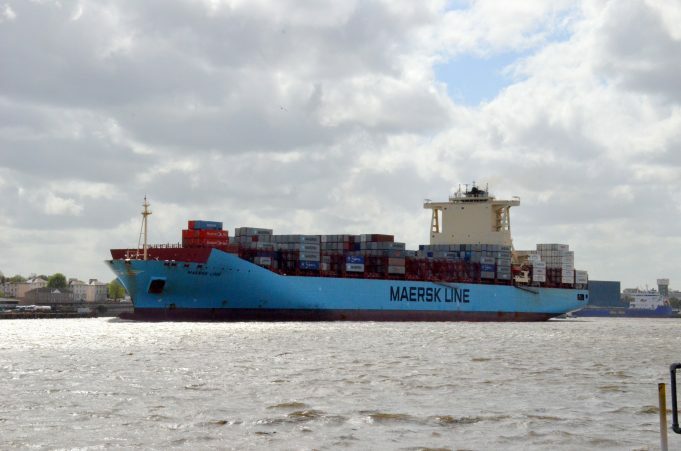 The Maersk container ship MAERSK LINS leaving the Thames on 5/5/2015. She was built in 2012 at 89,505 grt. 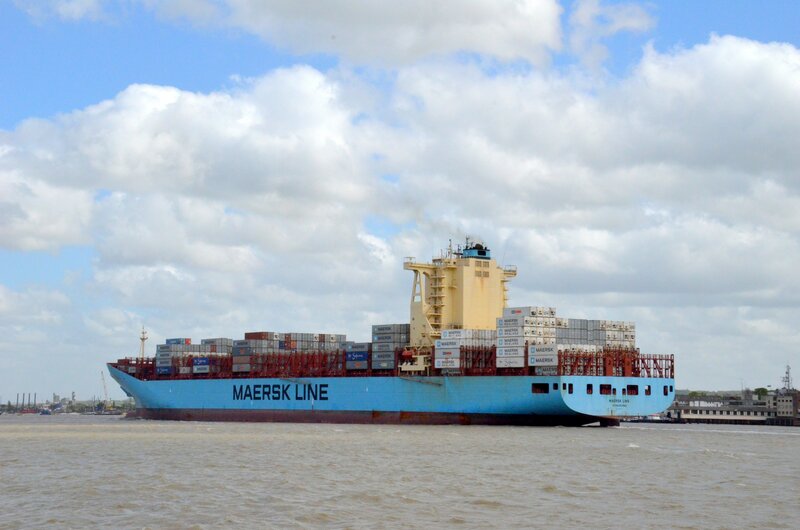 She is 300mts long by 50 mtrs wide. She was on her way to Bremerhaven.